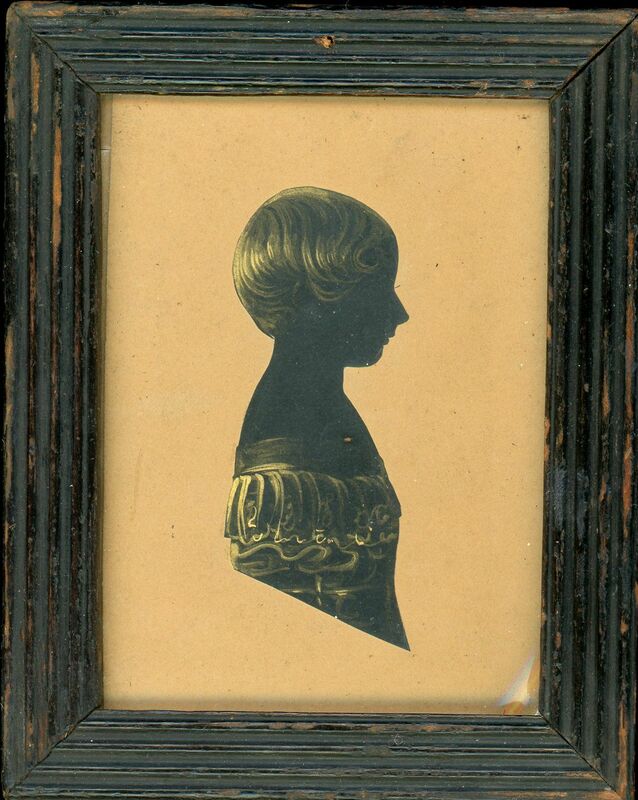 This pretty cut and well-gilded head and shoulders silhouette shows a child in a wide-shouldered dress with a deep frill around the neck-line. The silhouette is housed in a period reeded frame with old rippled glass. 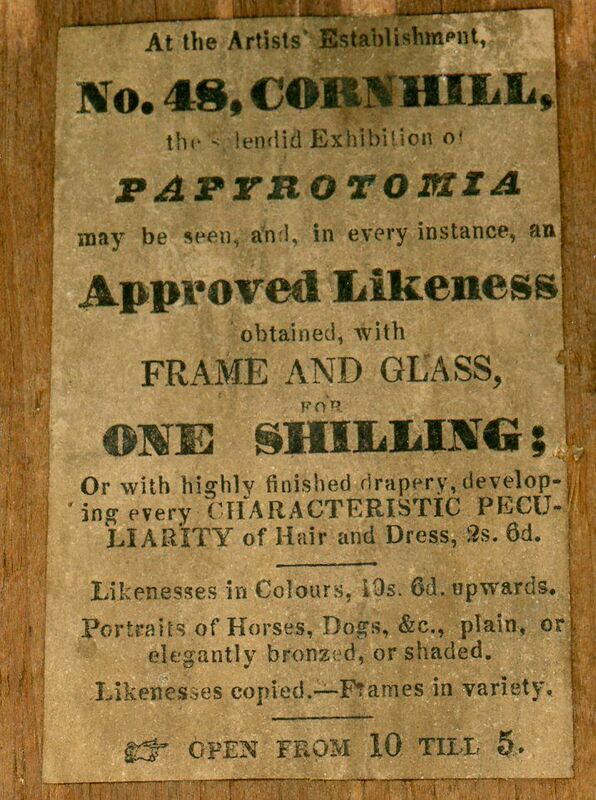 The frame is backed with an interesting trade label advertising an “Exhibition of Papyrotomia” (a mis-spelling of Papyrotamia) at No. 48 Cornhill [London]. 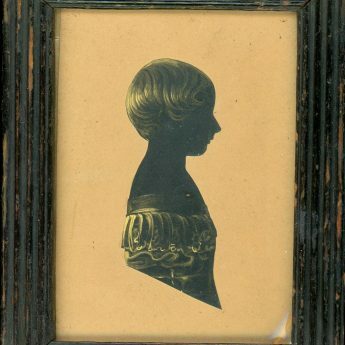 Whilst there one could have a silhouette cut and framed for the princely sum of one shilling! Although no artists are named on the label, this is undoubtedly the work of the Hubard Gallery who were linked to this address in 1823. The wording is similar to that on the Gallery’s handbills in use around that time.